Our daughter marveling at the famous rock at Balandra. 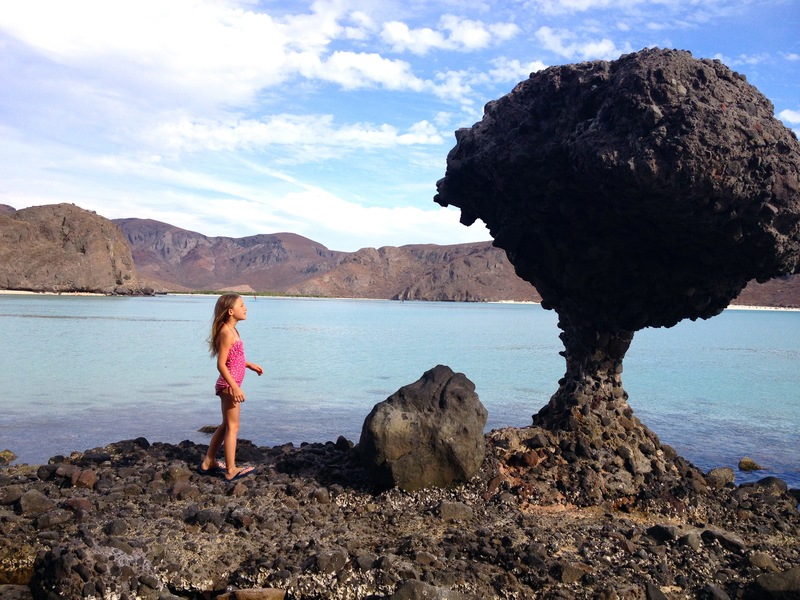 In honor of Earth Day, here are some photos from our trip to the Sea of Cortez in Baja Mexico. 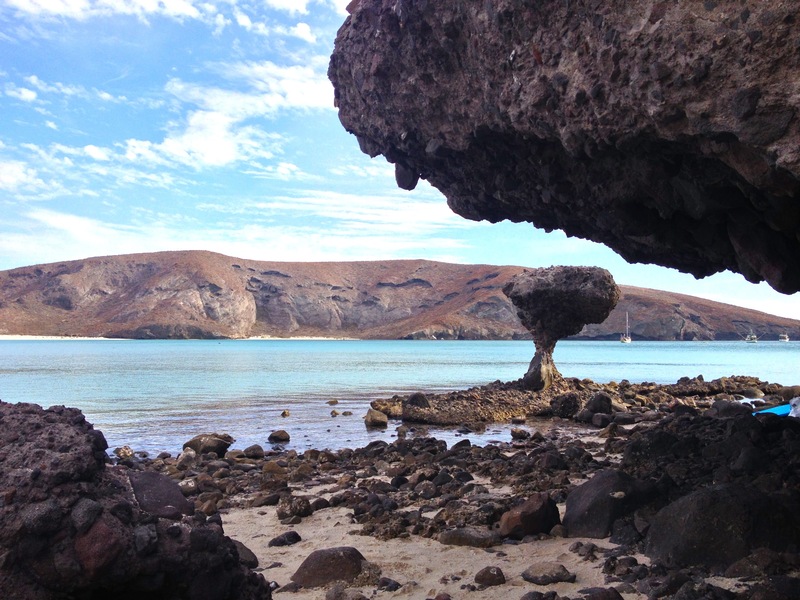 You might wonder what Baja has to do with Earth Day, but read on. Playa de Balandra outside of La Paz, Mexico. When I tell people I went to Baja, they often think of Cabo San Lucas, but that’s not the Baja we visited (nor the part of Baja I’d want to visit). 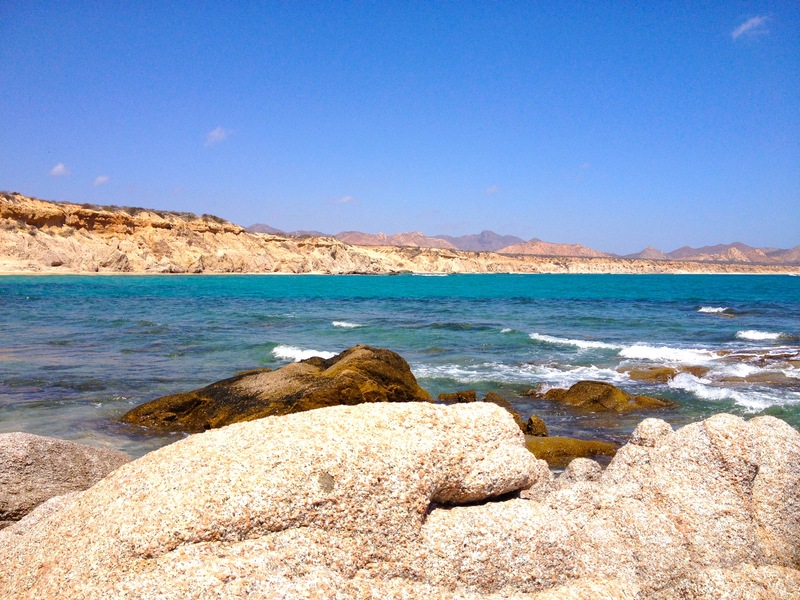 We spent the first few days up and around the town of La Paz, about a 2 1/2-hour drive from San Jose del Cabo. I used to visit this area years ago (about 15), before I met my husband and had children. It was nostalgic returning to this relatively sleepy university town, and while some of my favorite restaurants no longer exist (or at least I couldn’t find them), I was still in awe of the beauty of the area. 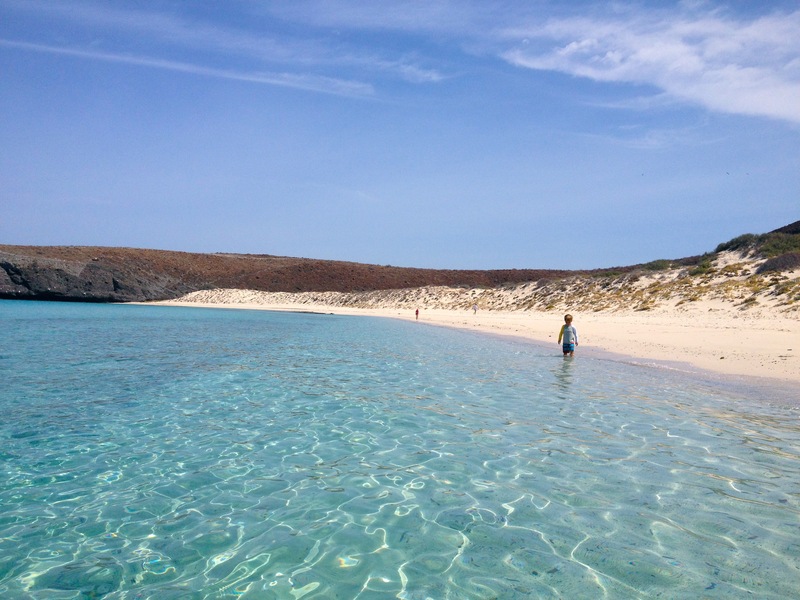 Yes, my favorite beach–Playa de Balandra, has been discovered. It used to be you would find at most only a handful of cars in the parking lot, and ours would be the only rental car. Now, the lot fills up fast and you can rent umbrellas and kayaks and buy snacks right on the beach. But if you start walking or paddling, you can still find deserted beaches and remarkably clear waters teaming with sea life. It was the first reminder that despite the fact countries are drilling deep into the bowels of our earth and pumping millions of gallons of toxic chemicals into the ground in order to extract natural gas, using plastic bags, bottles and packaging as if the earth can absorb and decompose all those things at the same rate they’re manufactured, utilizing toxic chemicals on farmlands that alter the reproductive systems of our most sensitive fauna and perhaps even ourselves and our children, there are places that still remain pure and relatively untouched. 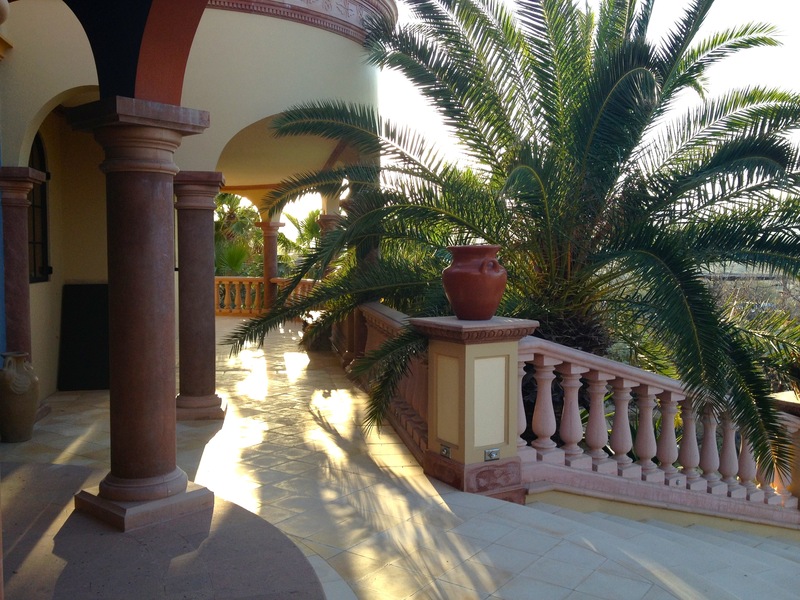 From La Paz, we drove a small two-lane highway across the mountains and south, and then on a seemingly endless bumpy and twisting dirt road to an off-the-grid, eco resort a colleague had recently visited. Here was another example, proof if you will, that we can live on this earth without simultaneously destroying it. The Villa del Faro resort is powered by a solar-powered microgrid with a battery storage system. They buy organic produce and meat from a local farmer, and grow only native plants (e.g., cactuses, thorny ocotillo, etc.). Instead of one large building, the “resort” is comprised of several buildings nestled in the gently sloping hillside and separated by small areas of desert, further reducing the impact on the environment. 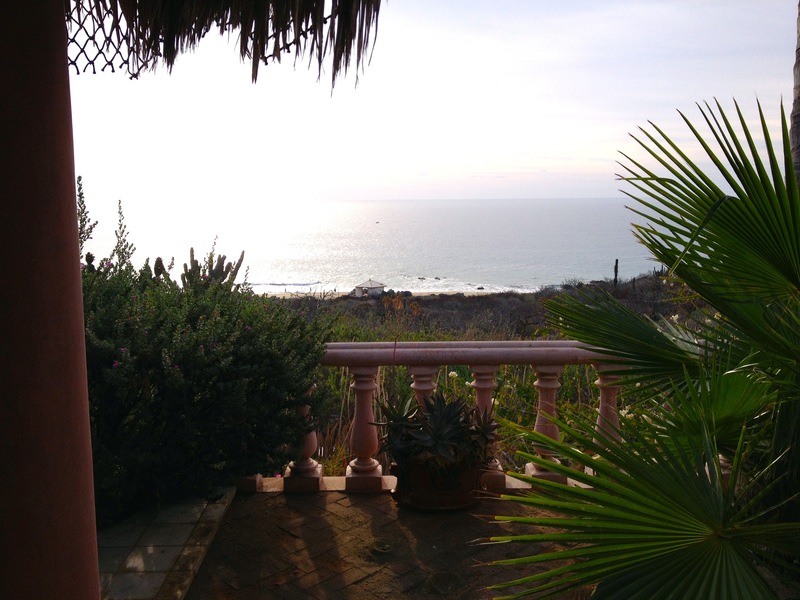 View from one of the casitas at Villa del Faro, Baja Mexico. I realize this posting might read like an advertisement for Baja, but this trip gave me hope that the earth will withstand our ravages against it. And even in a developing country with relatively minimal education and few laws protecting the environment, even with incredible population growth, there are people trying to set the right example by demonstrating how we can live, and often live well, off-the-grid and in balance with nature.